Saute' or seal onion, bell pepper, garlic, green onion in olive oil. Add about a half cup of water, veggie bouillon, salt and pepper to taste. Let simmer covered for another 10 minutes. 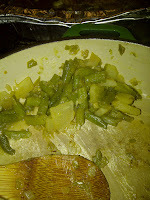 Be careful not to let the string beans cook too long or they will loose their color. P.S. my youngest cleaned her plate. 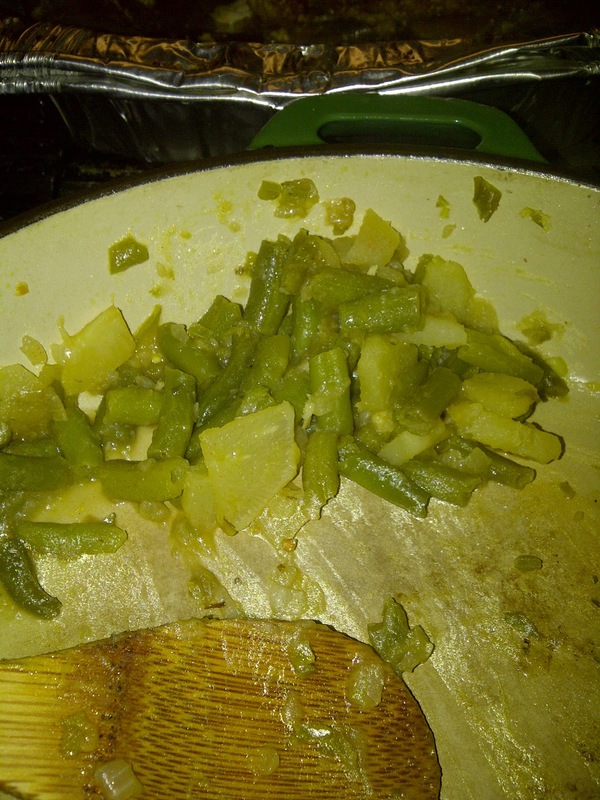 Well she left the potatoes and turnips and ate the green beans.